On an introductory flight, the gray-haired man who would eventually become my CFI, Paul, coached me through gentle turns on the western banks of the Chesapeake Bay and assured me that if he could learn to fly, anybody could. He was jovial and enthusiastic about everything the flying life had to offer. All that stood in my way was the simple matter of getting that pilot’s license—a challenging but well-trodden path. I had always been a good student. I already had a foundation in flight as a paraglider pilot. How hard could it be? I have since learned of an airplane’s ability to deliver one’s comeuppance. As the hours of dual racked up and I progressed only slowly toward attaining my certificate, I would come home from my flight lessons dejected. Many times, I thought about giving up. For reasons that I hope to uncover one day with a future therapist, I persisted and made halting progress toward my goal. Soon we were devoting every lesson to pattern work, and the prospect of my first solo became real. But every time Paul would say, “Give me three good landings in a row, and I’ll get out of the plane,” I’d botch my approach, flare too high, or forget to flare entirely. At one point, as I failed to maintain pattern altitude on downwind, Paul said, “I’m completely befuddled.” I’d long known myself to be a master of self-sabotage, but this was getting ridiculous. My first solo seemed further away than ever, but in August of 2012, I still showed up to my flight lessons at Freeway Airport (W00) in Bowie, Maryland, wearing an expendable T-shirt—just in case. At that point, I had logged more than 30 hours of flight time. If you hang around a flight school or GA airport long enough, eventually you’ll hear some pilot talk about soloing in six or eight hours, usually in a taildragger back in some halcyon age when pilots really knew how to fly small airplanes. Occasionally, you’ll still hear someone opine that if a student can’t solo in 15 or 20 hours, then perhaps his or her money would be better spent on sailing lessons. But the fact remains that many of us take longer to acquire the judgment, coordination, and confidence to solo. It can be devastating to a student pilot’s morale to see the pre-solo hours build and the bank account lighten while still having “nothing to show for it.” But more insidious is the student’s suspicion that they have already failed to measure up, that their struggles are a signal of what they have feared all along—that they will never be a safe and competent pilot. I would never claim to be a model for any aspiring pilot, but I am proof that even a student utterly lacking in the right stuff should not give up on the dream. A change in perspective and some diligence will pay off—and you’ll be a better pilot for it. Let’s get the obvious out of the way. When it comes to dollars and cents and flight training, faster is better. After all, it costs far less money to take your check ride in the FAA minimum of 40 hours than the 70 hours that are said to be the national average. But even students with deep pockets are still eager to solo and get their certificate as quickly as possible. And while no one would think to brag about getting their driver’s license with the bare minimum experience required, pilots seem to believe that less time spent in training confers greater expertise and ability. Clearly, there is something specific about the culture of flight training that breeds a counterproductive one-upmanship that is all too familiar in the peanut gallery at the local FBO. To understand our fixation on flight hours, I believe it is instructive to look back into aviation’s history, and for many pilots, no era has a greater hold on the imagination than World War II. In our collective mythology of the war, men (and women, it should be noted) walked off the street, were trained to fly in short order, and performed heroically in some of the most iconic aircraft ever built. And it’s not all mythology. I recently gained custody of my grandfather’s logbooks from World War II. Robert Milton Bishop, like so many aviators of that generation, received his initial training in a J-3 Cub with a 65-horsepower Franklin engine. The logbook is a fascinating primary document and a source of deep insecurity for me. It reveals that my grandfather first soloed that J-3 when he had just shy of eight hours of flight time. It’s almost impossible to overstate the effect that the war had on GA and flight training. According to Alan Meyer, a professor at Auburn University and the author of Weekend Pilots: Technology, Masculinity, and Private Aviation in Postwar America, there were less than 34,000 pilots in the United States in 1939. By 1951, that number had skyrocketed to more than 580,000—a direct result of the war and the GI Bill that paid for flight training for veterans. Consequently, the vast majority of pilots and instructors from that era were trained by the military or in the military paradigm. This all made sense if you were going to take on the Luftwaffe over Europe, but context is everything. In World War II, there was a pressing need to train pilots quickly. The fate of the world actually depended on it. If a guy couldn’t solo in 10 hours, no worries, he’d make an excellent waist gunner. And there was a virtually inexhaustible supply of pilots-in-waiting. The same can hardly be said about today’s GA industry, where hand-wringing about the declining pilot population has become routine. In today’s world, if you’re learning to fly for fun, or to grow your business, or to fulfill a long-held dream, it really makes no sense to hold yourself to the same standard as a World War II ace. It would be a case of applying the right idea in the wrong context, like wearing a winter coat on the Fourth of July. There’s another reason why it’s increasingly rare for today’s student pilots to solo in under 10 hours. Their instructors won’t sign them off. For starters, student pilots are now expected to have mastered more skills before solo flight than they were 20 years ago. But there’s also been a shift in the mentality of CFIs, according to Ken Wittekiend, founder of ProMark Aviation in Burnet, Texas, a Designated Pilot Examiner (DPE), and a charter member of the Society of Aviation and Flight Educators. Wittekiend, who has more than 8,000 hours of instruction under his belt, said that CFIs have moved away from an almost total emphasis on solo in a student’s early days in the cockpit. When he began instructing in the mid-1970s, pre-solo flight training was almost exclusively devoted to developing the stick and rudder skills required to survive a trip around the pattern in good weather. By contrast, today’s instructors take a holistic approach to shaping a more rounded pilot who can handle radio communications, disruptions in the traffic pattern, and any number of scenarios and hazards that might present themselves in solo flight—all good things. The downside is that it takes longer to solo and make it to a check ride. But more importantly, Wittekiend doesn’t see a strong correlation between the number of flight hours and the quality of the private pilot candidates he encounters in his capacity as a DPE. The students who learned to fly in the shortest time are not necessarily more skilled or prepared than others. In some cases, the opposite may be true. “I’ve seen people who struggled from the beginning, but because of that struggle, once they get their license, they are committed to holding themselves to high standards. Those people who are at the far end of the spectrum in terms of hours quite commonly turn out to be very capable pilots,” he said. More broadly, our focus on the hours required to reach solo or take a check ride misses the point. 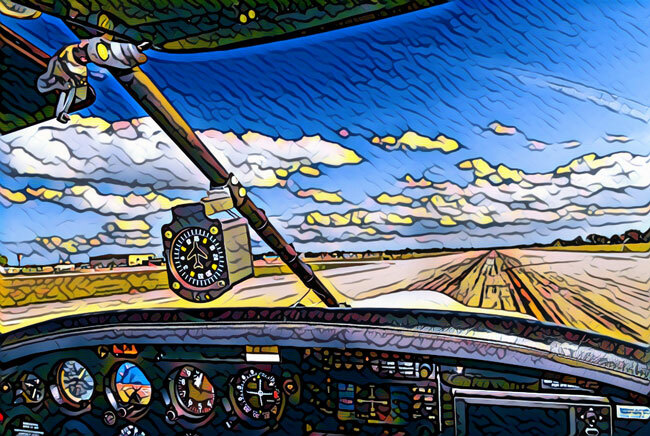 Whether it took you 40 hours or 140 hours to get your license, what happens afterward is infinitely more important to your development as a pilot. Who cares if you soloed in record time but then only fly 10 hours a year when there’s no wind? It is far better to be a slow learner who flies at least once a week in varied conditions, and who adopts a professional attitude toward flying and safety. I’d fly with that pilot any day, even if it took him or her 80 hours to solo. So where does that leave the student pilot with 30, 40 or more pre-solo hours in their logbook? Learning to fly is such a deeply personal endeavor, so all I can offer is what worked for me. The first thing to do is to embrace the sunk cost fallacy—in which the amount of money and time already spent is used as a justification to throw more money and time at a presumed negative outcome. You know, throwing good money after bad. A rational person should recognize that they are in the sway of this fallacy, cut their losses, and move on. The only problem is that you’re not engaged in rational behavior. You’re in aviation! To be honest, I have often wondered whether I would have gone on to get my certificate if I had soloed in 10 hours. Ironically, if the skills had been easier to acquire, it would have also been easier to give up and spend my money on other endeavors. Flying is expensive, and both of my bathrooms need remodeling. But as I reached the 30-hour mark without solo, my resolve hardened. The time for half measures was long gone. I had spent far too much money, effort and frustration on flying to just give up. I was all in. You should be, too. Next, spend some time in honest reflection about what you can do to make your training more effective. If there’s a problem with your instructor, find a new one. If you’re failing to do the preparation, then remedy that immediately. Never underestimate the power of an evening of reading or chair flying to improve your landings. But most of all, relax and enjoy yourself. The process of learning to fly should be rewarding in its own right. Your instructor is most likely an interesting person. The two of you get to spend an hour or two manipulating the controls of an airplane a few thousand feet in the air—how many people in the world have that privilege? Spend this time under the watchful eye of your instructor to develop your skills and build your confidence, because one day your CFI will leave you alone in that airplane, and you’d better know how to handle yourself. For me, that day arrived on August 19, 2012. I took my CFI, Paul, around the pattern three times before he told me to pull the plane off the taxiway while he endorsed my logbook. He disappeared into the FBO and I sat in the plane alone. The idling prop cheerfully shredded the air, but I could already feel my heart beginning to race. What business did I have flying that plane? A real pilot should have soloed at least 15 hours ago. I was a poser and a dilettante—flaws that were harmless enough in everyday life, but ones that would surely spell my demise when I was alone in the cockpit of a 172. When Paul returned with my logbook, he gave me some final words of instruction. I responded with a thumbs up but was terrified as I taxied to the hold short line at runway 36. While going through my pre-takeoff checklist, I glanced at the logbook on the right seat and an unexpected feeling of calm came over me. I had logged 37 hours in the cockpit, at least half of which were takeoffs and landings. Maybe I wasn’t a natural. But over those 37 hours, I had made almost every single mistake imaginable—a litany of errors so comprehensive that against all logic, I was actually confident that I could take that airplane up and down safely. After all, what else could I do wrong? N400GE leapt off the runway. As instructed, I extended my departure and downwind legs, monitored my airspeed and altitude on final, and finally touched down. The landing wasn’t going to win any awards, but I was way beyond caring about awards. Paul was waiting at the taxiway. He offered a few words of advice before telling me to go around the pattern again. As I taxied to the runway, I was in a state of calm euphoria. I knew that no matter what the future held, this was an experience that could never be taken away from me. I hadn’t cut any corners. I hadn’t gotten any special consideration. I had earned it. I was full of bravado until I heard his voice over the radio. “Just remember to do your post-landing checklist,” he said. I was taxiing with the flaps down, the strobe on, and the carb heat hot. Apparently, there’s always more to learn. John Bishop is a writer and editor who flies out of Freeway Airport (W00) in Maryland. You can contact him at johnpatrickbishop.com or at his YouTube channel. 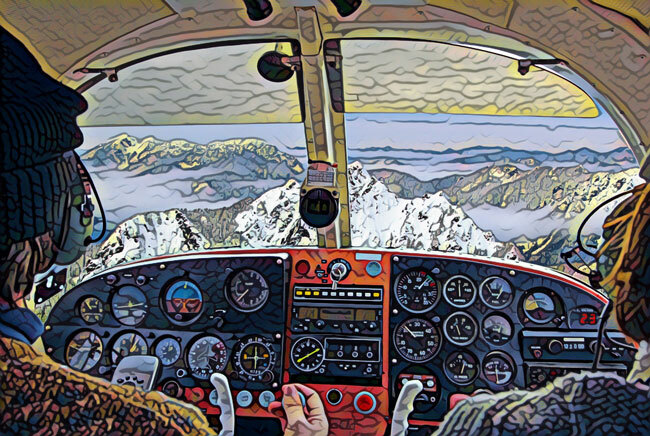 Want more on pilot skills—from flight training to weather flying? Visit our Proficiency archives. Nice story, some people take longer then others and there is as you said more requirements other then stick and rudder skills now in the DC area. When I was teaching I would never tell my students to give me three good landings or whatever and I would solo them. Puts un needed pressure on them. John, when I read the byline of this article I knew it would be of interest to me. By the time I was 3 paragraphs in I felt as if it was just about me. There are so many parralells in our stories it’s uncanny. I now realize that it must ring true with countless others. I soloed @40 hours on Aug 20 of this year with almost 200 landings logged. I now have the resolve to press forward despite early struggles and the inconsistency of only being able to fly once per week. I go to the airport even if I know the weather will prevent flying that day just to “be there” and “be in it.” It took almost 35 hours to hear a “good job” from my CFI. Looking forward to my solo cross countries and continued learning. I am afraid that I will have to (at least partially) disagree. When I hear that a pilot needed over 20 hours until the first solo or +100 hours until the checkride, it certainly raises my attention. I think it is absolutely fine if so many hours were needed because of only irregular training, long brakes or because the pilot soloed but was happy to fly around with his student pilot’s certificate and just never cared to take the checkride. However, if these many hours were needed, because the student simply ‘did not get it’, it raises some alarm signs. I now a few pilots who needed an extraordinary amount of hours and feel that none of them would be able to handle situations outside of what was practiced during the endless hours of training. Small things like a little bit stronger crosswind than expected, the plane differently loaded than usual, flying into a unfamiliar airfield: All things they seriously struggle with. I can’t and don’t even want to imagine how any of them would handle an emergency. Personally, I am convinced that in order to be a competent and safe pilot, flying eventually has to become second nature and must not be just be a repetition of training lessons. This article should be a standard handout to all student pilots after the first 10 hrs of training to put their minds at ease and in perspective! My understanding of human nature is that there are different types of temperaments for both teacher and student, and that mismatching these temperaments can retard the learning process. Some of us want to explore the experience on our own, and we see the instructor’s basic job as pointing out some things to consider and try out, and then take a nap while we try them out, and only wake up if we are about to kill ourselves. I personally don’t like the meticulous step by step progress with strict performance limits approach favored by the FFA. 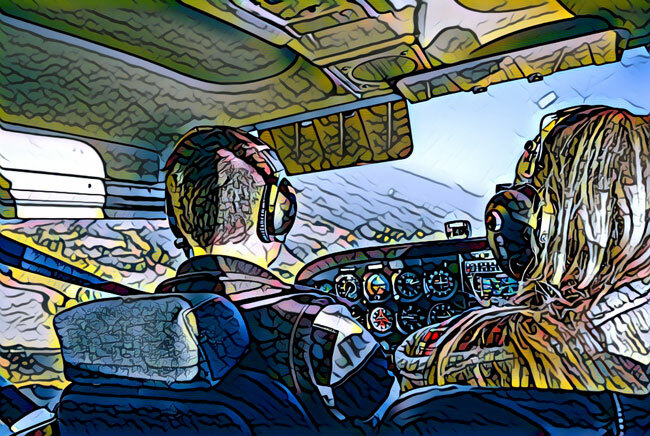 For example, we over emphasis keeping strictly to altitude and teach steep turns holding altitude, and never let the student feel the thrill of plane banking over to 90 degrees as we relax our hold on the yoke and let the nose fall as we bank. While that may sound like an extreme maneuver (and it is if we held altitude), relaxing the yoke unloads the g-force on the plane and allows a very controllable, safe, and easy transition into a 90 degree bank, and then roll out of it — easing back the yoke as we return to level flight. By not exploring these so-designated “extreme” maneuvers, in fact, forbidding them, we leave the student fearing the airplane. I think I hold the record for soloing/ getting my private certificate after the most hours. I caught the bug in my 50’s. I had to change instructors and FBO’s a few times (corporate jets beckoning) and stop and start training (joys of home ownership and an unstable job market). Several times I wanted to throw my flight bag in the dumpster and give it all up after a bad landing. I found an instructor and school (53 miles away) I liked and kept at it as much as finances and driving time would permit. Made the decision to keep going and to all who are reading this: practice, practice, practice. If you want it badly enough, find an instructor who you can work with and a good airplane (I have flown some major rattletraps) and you’ll get there. I remember my first solo as if it as today. My instructor was a terrific teacher, plus prior to being an instructor, he was also the workshop foreman when I was doing my motor mechanic apprenticeship. He had no idea of my passion for flying, until the day I rolled up at the airport to book my very 1st flying lesson. The look on his face was priceless. I went solo in 4 hrs 20mkinutes. His ploy was to stop at the terminal building on the ploy he urgently needed to go to the toilet. As he got out the C150 door, he said , “Make one circuit and then full stop and taxi back to the parking area. There was no time to get scared, but bloody hell that C150 jumped into the air without someone next to me. Needless to say I went on to fly 747s and retired 10 years ago aged 67. I own an Aero Commander 690 and use it for holiday around Australia rather then driving or going commercial. Some people are born to fly and other have to work hard at it ti even go solo let alone get their PPL, but with perseverance everyone I have encountered has had an interesting story to tell. Aviation is in my family blood as my son , daughter and her boyfriend are all commercial pilots traveling the world. All of us are pilots. Beware of over confidence. Dangerous times at 40 hours, 100 hours, 1000 hours 10000 hours. Just when you think you have it nailed aviation happens. My instructor had me land our Cherokee 140 on a gravel road near Ryan Field in Tucson to visit his friend who was doing repairs on his Ag plane. After the visit (repairs were progressing…replacing 3 feet of the right wing torn off after hitting a power company ground wire between two towers…sun in his eyes…”thought” he was lower) we began our take off roll. 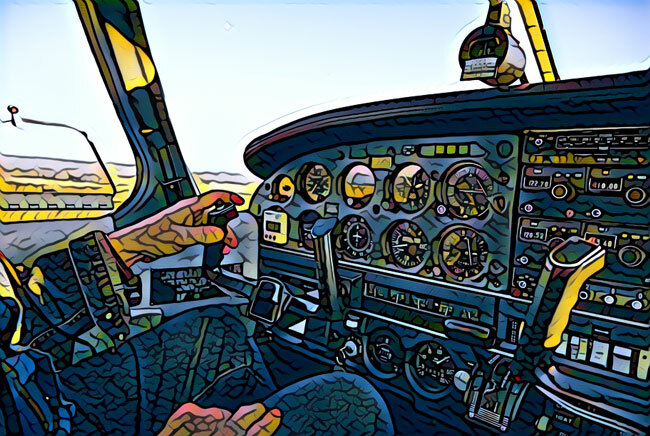 We “stalled” on the ground at about 50 kts……………..until I removed my feet from the rudder pedals (lightly/slightly applying the brakes) and we gained speed and wha-la!…..we were airborne! Hal saw what the problem was, and just before I realized what I was doing he suggested I remove my feet from the brakes…smiling as he told me to do so. Hal passed away, and I miss my instructor who became my friend…and gazing at his type certificates and the zillion hours in the air that he had. I believe that anyone who thinks that pilots who solo in a handful of hours are genius’s while pilots who take 35 or 40 hours are irreparable incompetents do not understand the complexities of the human mind or of flying. Who would think that person who failed mathematics would become a Noble prize-winning physicist? Well, that person is Alfred Einstein. Would think that an armless woman could not only learn to fly an Ercoupe but obtain a pilot’s license using only her legs and feet. Yeah, just try that. Further, there are several kinds of abilities used to fly an airplane. If anyone needs proof, look what an autopilot can do. Autopilots “fly” an airplane perfectly but never able to make a self-generated decision. Further I have flown with incredibly “gifted” pilots who, while being to fly an airplane elegantly, were some the worst decision-makers about flying I have ever experienced. Alternatively, I have flown with pilots whose mechanical skills were nothing other than average be the most incisive, thoughtful decision-makers I can imagine. It takes more than just hand-eye coordination to be a good pilot. My simple rule about learning to fly is to simply, but completely commit oneself to one thing: try and try again. Learn to ask questions after teach lesson, write down questions about flying between lessons. In your mind, walk through each and every flight maneuver or planning decision in that perfect way. Finally, talk over your questions over with the instructor, before the next flight. With fair confidence I can say nearly everyone will benefit and improve their learning experience. Ignore what others who insist that what kind of person is qualified to be a pilot. The only that matters is how hard, how committed one is to learning and improving. Goluscombe… so well said. Much respect from a fellow Luscombe driver. Thank you for sharing, brings me back to my first solo only 5 years ago! Thank you for the story. I’m at 8 hours and have been feeling the same thing as you. I decided to go all-in with my lessons about a week ago and can’t wait. I have to tell you that this story couldn’t have come at a better time. I was also struggling in my mind about my ability to land smoothly, even after my 8 hours. But this story has only strengthened my resolve. Thank you so much for this story. It is bookmarked and will show it to my honey at home who lacks confidence that I’ll ever be a safe pilot (because I have mild road rage).